Should You Be Eating More (Or Less) Protein? Most nutritionists these days agree that the most important part of any diet plan is balance. There are a lot of nutrients that your body needs to operate at peak performance, and it’s important to include all of them in your diet. One of the most crucial components of any diet that is focused on overall wellness is protein. Protein does a lot of important things for your body, so you definitely shouldn’t skimp on this vital nutrient. What exactly does protein do for your body? 1. It helps control your appetite. When people look for new diets, the reason is often their weight. Obesity is one of the most prevalent health risks in today’s world; yet, slimming down and shaping up is a goal that many people struggle with. Part of the problem is that hunger can be a difficult feeling to ignore. How often have you found your stomach feeling empty even though you’ve just eaten? This is a common problem, and often leads people to add unhealthy snacks into their diet. One of the best ways to combat this problem is to make sure that your meals are high in protein. According to one experiment, when participants were given two food items, one higher in protein, those who ate the higher protein option reported greater feelings of hunger satisfaction after eating. Another study reported that when subjects were given a high-protein breakfast (as opposed to a high-fat or high-carbohydrate meal) they reported steadier feelings of hunger suppression throughout the following 24 hours. The amount of protein that a person needs varies based on age, gender, and physical activity. However, the average woman needs around 46 grams per day and the average man needs around 56 grams per day. 2. It helps to build muscle. Not everyone seeking a new diet is looking to lose weight. Perhaps you’re more interested in getting stronger and improving your body’s overall muscle tone. Even if losing weight is your primary goal, working on keeping your muscles in shape can actually help you get to your ideal weight even more quickly. If you want to focus on your body’s muscle development, protein is one of your most important tools. To increase the overall amount of muscle in your body, you need to have adequate protein intake. This is because exercise causes your body to break down protein; to build muscle, the protein that your body metabolizes has to be greater than the amount of protein it breaks down during your workouts. This means that if you want to see gains in muscle mass, including lean muscle, you can’t skimp on protein. It is particularly important to take in protein immediately before and after working out. 3. It helps burn fat more quickly. Contrary to popular belief, not all weight loss is equal. While you may be happy to see the number on the scale going down, you may be surprised to find out that instead of burning off your body’s excess stores of fat, you’re actually losing muscle mass. Because fat is responsible for the health problems associated with obesity, it is important to target fat specifically with any diet aimed at weight loss. In studies that examined participants’ body compositions while they used various diets, participants who consumed higher levels of protein saw decreased body fat percentages over the course of the study. Scientists have also performed experiments in which certain participants followed high-protein diets while others consumed a standard amount of protein and low amounts of fat. Even though fat is usually considered the bad guy in most diets, the results of the study indicated that the participants who followed the high-protein diet had greater decreases in body fat over the course of the study. 4. It’s good for bone health. Not all diets are about weight management or even physical fitness. The best diets focus on overall physical and mental wellness. One part of the body that is often overlooked when it comes to nutrition is the bones. Bone health is particularly important for women, as their bones can become weak as they age. We’re often told that calcium is the most important aspect of bone health, but protein also has an important role to play. Studies show that participants who consumed high levels of animal proteins had higher mineral mass in their bones. This made the bones stronger and less likely to fracture. Additionally, other research indicates that for the body to truly benefit from any calcium in your diet, you must also ingest an adequate amount of protein. Protein is essential for your body’s ability to use calcium effectively; therefore, even if your diet is high in calcium, your bones could still be weak and brittle without foods rich in protein. 5. It helps you bounce back after being injured. If you live an active lifestyle, the occasional injury is inevitable. Even if exercise isn’t a big part of your life, accidents happen that can put you out of commission for days. Most doctors will recommend resting the injured body part to help speed recovery. However, what you eat can also play an important role in getting you back on your feet. In a study examining exercise-related injuries, scientists examined two groups: one group that continued consuming high amounts of protein even when not exercising, and a second group that drastically reduced protein intake while recovering. 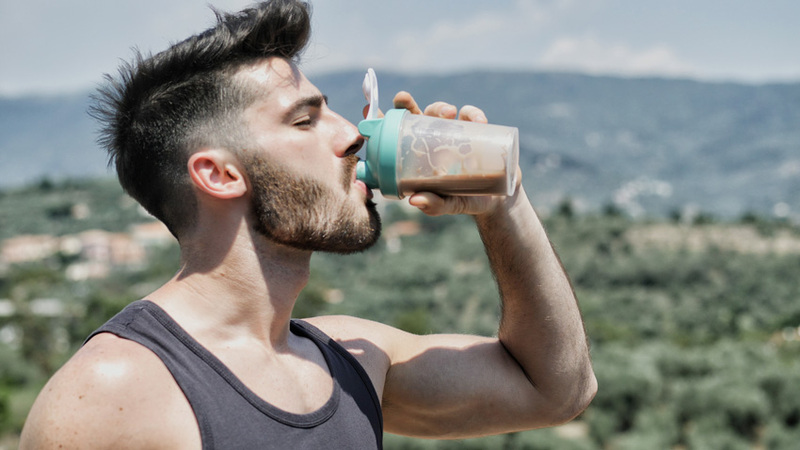 The study showed that the members of the high-protein group recovered more quickly because the protein helped keep their muscles strong even while they were taking time away from exercise. The results indicate that protein is a key part of recovery. 6. It lowers your blood pressure. Heart disease is one of the biggest killers in the world, especially among women. There are a lot of things that you can do to improve your heart health, such as lowering your sodium intake and getting regular exercise. However, science suggests that adding protein to your diet can also be an important part of keeping your heart healthy. One study compared several different types of diets, including high-protein, high-fat, and high-carbohydrate diets. Researchers discovered that of all the different types of diets, the diet high in protein made the biggest difference for blood pressure and cholesterol. Another experiment examined the effect of a low-protein diet during pregnancy in rats. In this study, scientists found that the offspring suffered from significantly higher blood pressure later on. The researchers suspect that the same would be true for humans. 7. It decreases premature ageing. For many of us, we don’t just want to feel better; we also want to look better. There are lots of things that you can do to keep yourself looking younger longer. Most of the methods that you read about online focus on exterior treatments. However, what you eat can actually play a major role in how your body ages. Some studies have suggested that increasing the amount of protein in your diet can increase your body’s ability to fight oxidation. Oxidation is one of the major reasons that skin begins to sag and wrinkle. By adding protein to your diet, you may be helping your skin stay firm and smooth. Another reason that your body starts to sag as you age is decreased muscle mass. If the muscles in your body shrink and soften, it makes the skin wrinkle and sag. By adding more protein to your diet, you improve your muscle mass, thereby keeping the skin looking younger. 8. It is safe for your kidneys. There are a lot of conflicting opinions when it comes to the relationship between kidney disease and protein intake. Many doctors suggest that having too much protein in your diet overworks your kidneys and leads to their overall decline, causing a multitude of problems such as kidney stones. However, the majority of reviews indicate that there is little research to support the notion that a high-protein diet is too much for the kidneys to handle. These conclusions have been supported by many studies that have found issues with high-protein diets among those with healthy kidneys. However, these reviews do caution that those with pre-existing kidney disease should consult their doctor about the amount of protein that is appropriate. 9. It helps you keep weight off. If you have been successful at losing weight, or have always been a relatively healthy weight, your primary health goal may be to maintain your current weight. Particularly if you’ve done a lot of work to get a healthy body, the last thing you want is to put the weight back on. Unfortunately, many people struggle when it comes to the maintenance part of their diet. Science may have an answer. According to some research, people who eat a diet high in protein after losing weight had as much as 50% less body weight regain. The research indicates that even when maintaining a lower fat diet, increased protein intake keeps the body satiated and helps you maintain your weight. Even if you feel full after eating, you may find yourself reaching for a snack. This is because hunger is different from a craving. To be successful at any diet, it is important to find a way to deal with these pesky cravings. According to some research, protein plays a key role in combatting cravings. By eating meals higher in protein, you can reduce the cravings that you feel after eating. This is because protein gives your body reward signals, decreasing its desire for other, less healthful foods. This means that if you want to stay on track, make sure your meals are packed with protein. What Workout is Right for You?